Yay! 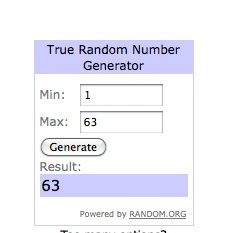 The winner is #63....MABRY!!! !